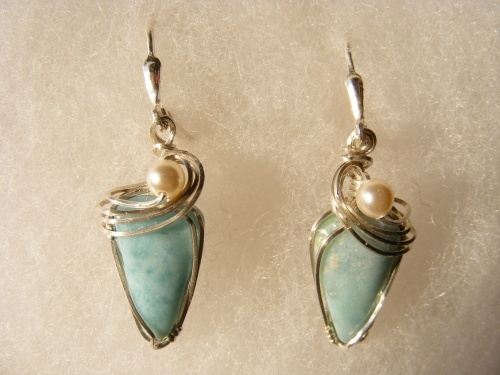 The beautiful Larimar in its majestic color is enhanced by a small pearl and swoops of sterling silver. Earrings are on lever back to ensure safety from loss. Very comfortable and lightweight. Measure 1" not counting wires.